Okanagan Similkameen Stewardship Society has been working with local community members for over 20 years. OSSS helps people care for important natural areas by providing information and ways to coexist with wildlife, and assisting landowners to steward natural areas on their properties while maintaining their farms, ranches, vineyards or other land uses. Over one-third of the land in the South Okanagan is privately owned and managed. Empowering private landowners and residents to undertake conservation on their own lands and in their communities is critical to maintaining healthy ecosystems and thriving populations of native wildlife. The Society will engage South Okanagan landowners and managers to better coexist with wildlife, steward and enhance sensitive habitat and will get residents involved in grassroots projects in their neighbourhoods. OSSS provides information, training, and technical assistance to increase the amount of habitat set aside for conservation, and works to establish written management agreements with landowners to restore riparian areas, wetlands, grasslands & shrub-steppe, and other important natural areas. Because agriculture is such an important part of the South Okanagan community, OSSS focuses effort on supporting and engaging growers and ranchers in stewardship. Landowners will be contacted and provided with information about wildlife and habitat, including best management practices and opportunities for habitat improvement, through re-vegetation of native plants, management of invasive species, fencing to exclude livestock or off-road vehicles, nest boxes, and other helpful stewardship activities. Where interested, OSSS can provide landowners with advice around long-term permanent land securement options. OSSS will also engage residents in environmental awareness and stewardship by promoting voluntary stewardship opportunities like habitat restoration and plantings in their neighbourhood, and engaging land stewards and residents in workshops where people can learn more about the Community Bat Program, how to identify amphibians by their calls, and birding for beginners. Citizen scientists are important to the knowledge and recovery of wildlife. 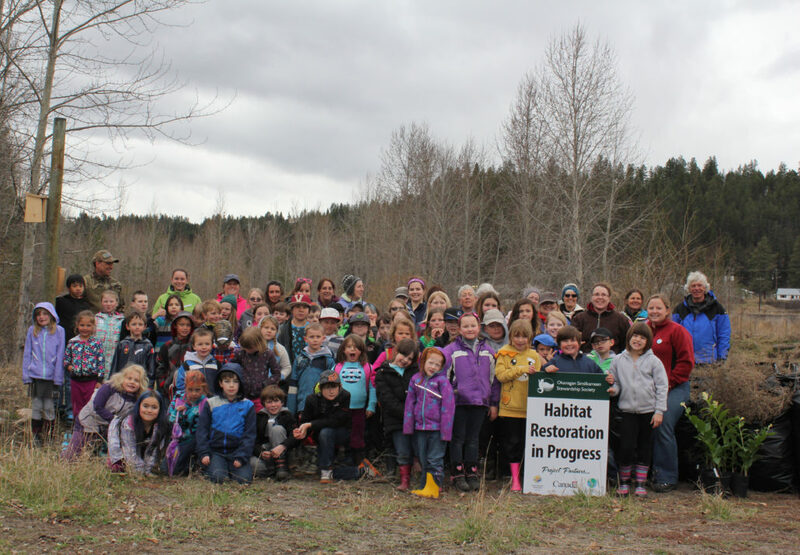 The benefits of conservation actions on private lands and in neighbourhoods are shared with the entire South Okanagan region, and result in a healthier, more robust environment and engaged, proud community. This project was approved by the Regional District Okanagan Similkameen Board and $ 38,000 was allocated from the South Okanagan Conservation Fund in 2018. The South Okanagan Conservation Fund dollars are matching significant confirmed funding from other sources including private grants and foundations. The project is expected to complete by February 1, 2019.